Capacity: theater setting - 30 persons, "U" shape - 15 persons. 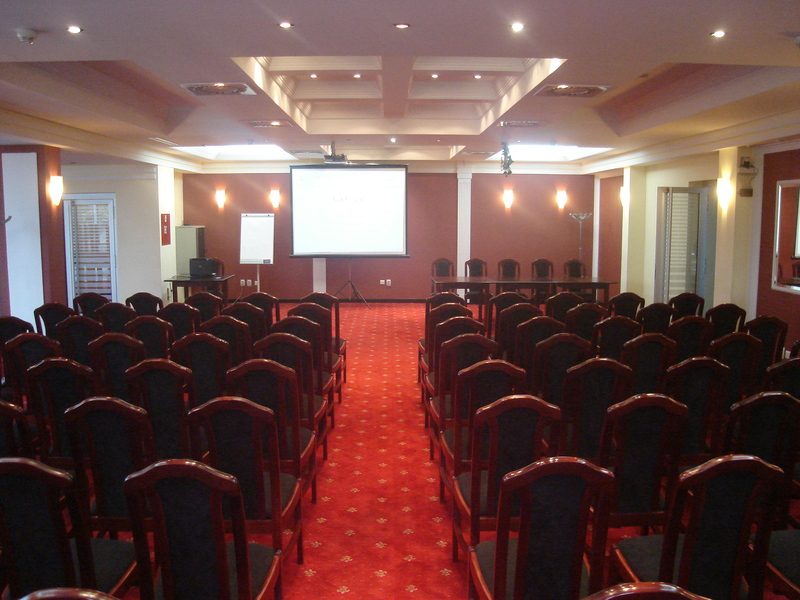 Besides the conference hall with 140 seats, the hotel has the board room with 20 seats,, equipped with screen, projector, flip chart, TV, laptop and WiFi Internet. For conference participants, large fenced parking in front of the hotel is provided free of charge (24 hours under video monitoring) with 52 car parking places (3 bus places). 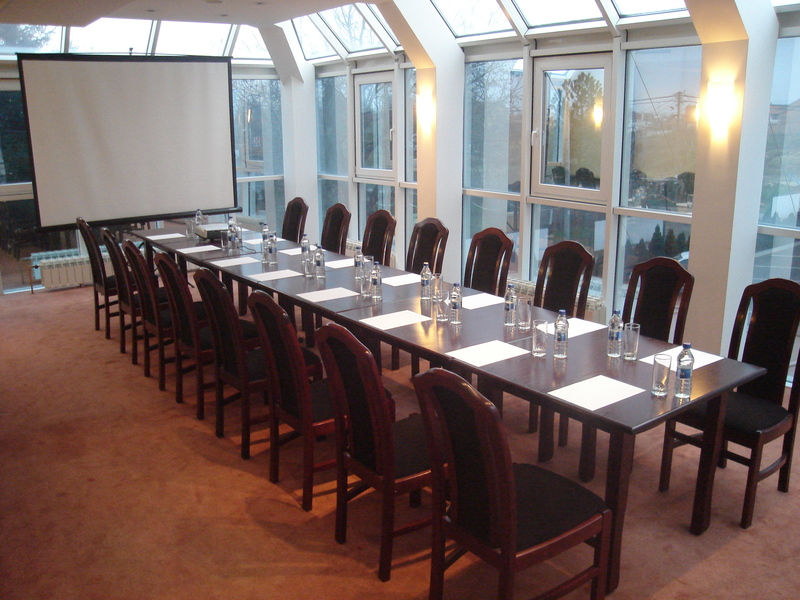 Conference hall and board room are equipped for all types of activities such as business meetings, seminars, classrooms or conferences. We have enabled free cable and WiFi Internet throughout the hotel. Conference rooms are equipped with a screen, projector, flip chart, laptop, WIFI Internet, and also with simultaneous translation (on request). 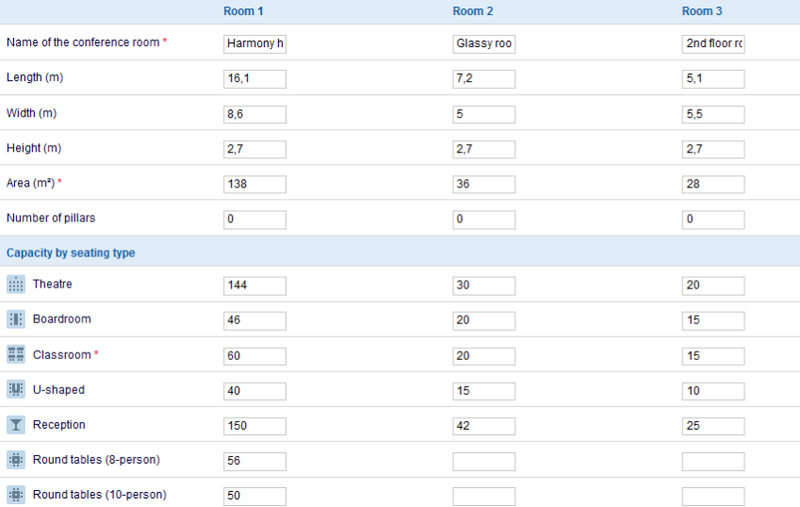 Check the image for dimensions of rooms as well as various settings.